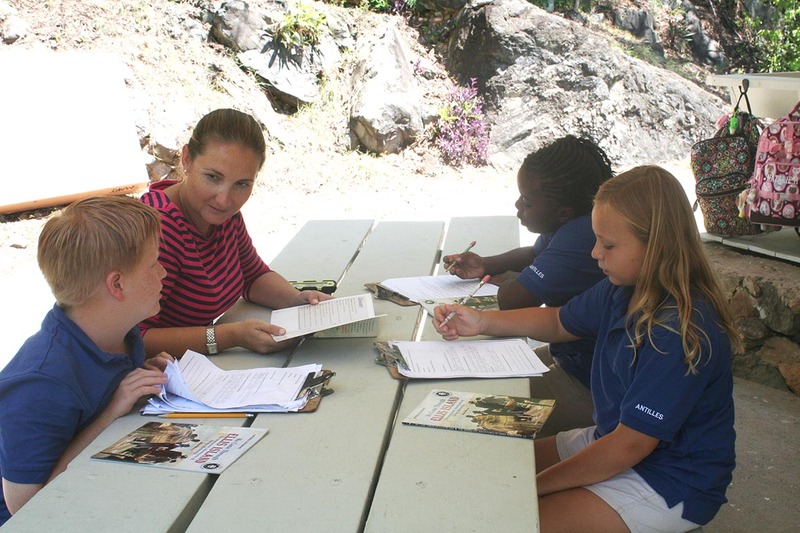 The Antilles Lower School works to launch children on the path of a college preparatory curriculum by teaching them to think critically and creatively. We strive to infuse challenge into the daily routine and to build confidence in our students through teaching that is nurturing and compassionate. We believe that expression, be it written, verbal, numerical or artistic, fosters self-esteem and learning. Our classroom atmosphere is based on respect and tolerance so children can feel safe to express themselves as they wonder, question and solve problems. The curriculum in Lower School strongly emphasizes reading, writing, language and mathematics. Children progress from being able to self-correct and adjust their reading when understanding breaks down to being capable of understanding attitudes, syntactic patterns and varying voices in their literature. As reading fluency grows, children begin "thinking with a pencil" and evolving spelling and reading comprehension skills now synthesize into writing for storytelling, for basic reports and ultimately to convey authoritative, multi-sourced information. 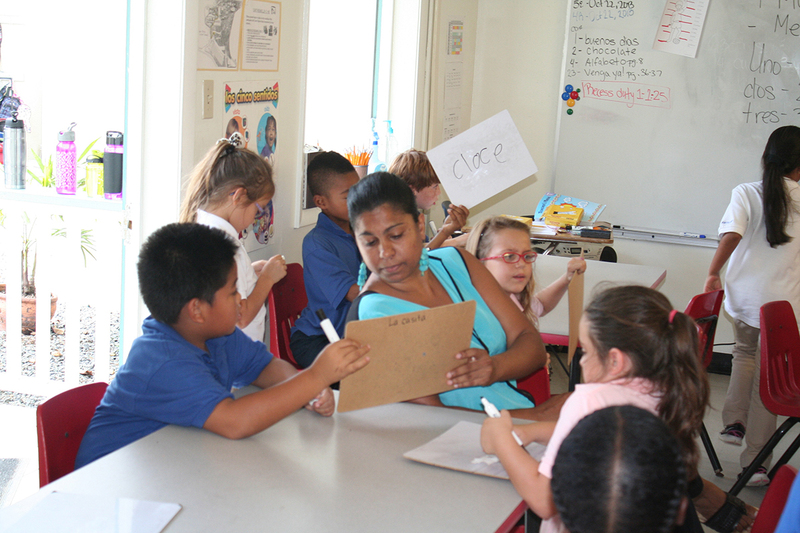 Our Math in Focus program is a strong complement to the Antilles School philosophy of building independent thinkers. In math, children are encouraged to find the path that best suits their personal methods of interpretation in order to arrive at the correct answer. Thinking is an individual process. 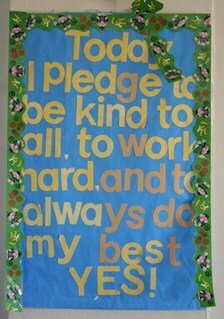 We try, at every opportunity, to respect and enhance that process according to a student’s needs. As children enter our Second Grade, they are beginning multiplication and division, they are learning graphing and calculating, and they’re measuring speed, climate conditions and monetary relationships. As they leave Grade 5, they have groundwork in geometry and algebra, they are graphing and measuring volume, and are conversant in probability, ratios and rates. Above all, they have been trained to see number-related problems in everyday life situations and to find avenues to reach intelligent conclusions. The task of building learners goes beyond academics. Each division of Antilles School is a community whose citizens are expected to exemplify trustworthiness, respect, responsibility, fairness, caring and citizenship – known as the six pillars of character from our Character Counts! program. Character Counts! is a non-political and non-religious coalition whose ethical values transcend divisions of race, creed, politics, gender and wealth and are used in classrooms around the country to help young people model positive behavior. Students at Antilles are reminded of the six pillars of character in daily campus life by a faculty and staff who work hard to ensure that standards be respected. Each month, for six months, the Lower School focuses on a pillar of character in lessons, community gatherings and discussions. 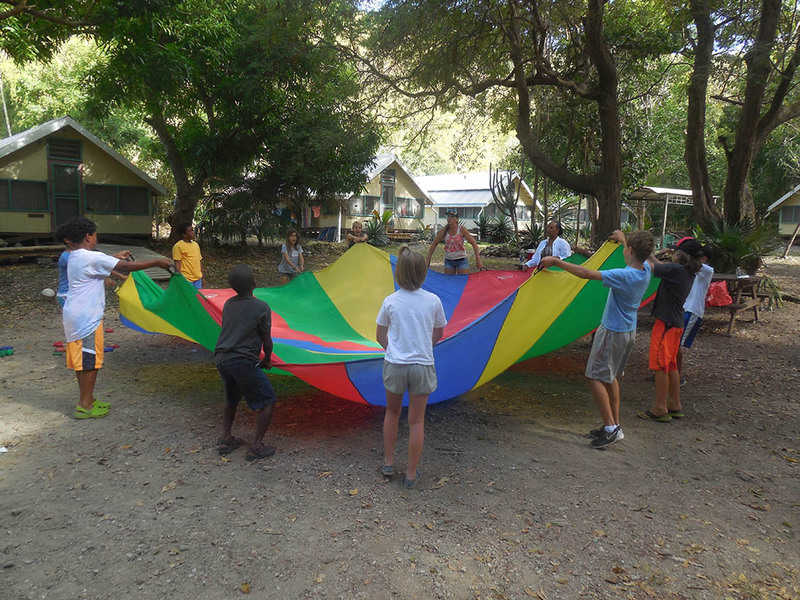 Examples of ways in which the Antilles Lower School works to build community include Morning Meeting, held three times a week before classes start. Students and faculty gather to hear announcements, share work and accomplishments, demonstrate projects and even enjoy music on Friday mornings. In addition, students from the Middle and Upper School will host their younger counterparts in a science lab to take part in an experiment, or they will come into the Lower School classrooms to assist the children in projects. Even our second-graders become mentors by periodically venturing into the Early Learning Center to work with our Pre-K and Kindergarten children on projects or tasks. 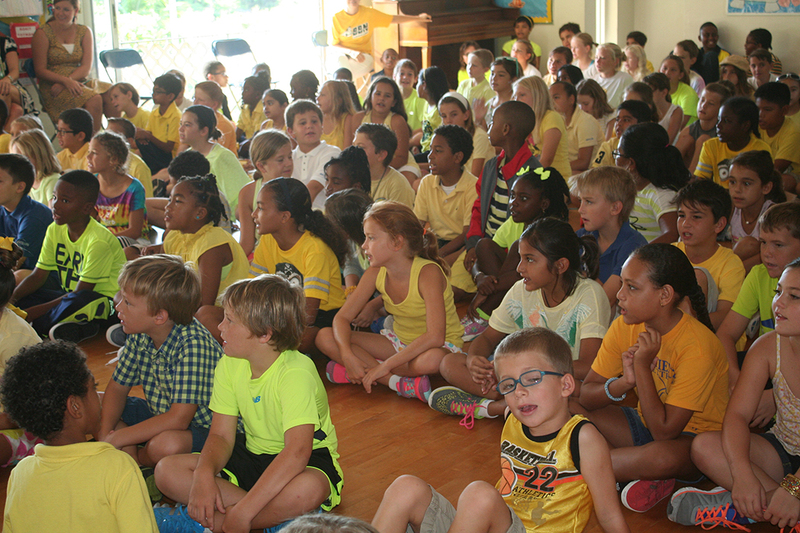 More Than the Three "Rs"
Children in Grades 2-5 enjoy a very dynamic day. Four times weekly, they leave their classroom to go to Spanish Language and Culture, where they speak Spanish and study Latino culture. Three times a week they enjoy physical education as well as art instruction in our Lower School art studio; and twice weekly, students study music. Each week, classes visit the Library to sign out books, and students also have daily access to the Library for their reading pleasure. Opportunities to learn come in many forms. Our teachers do their best to bring life to the learning process whenever possible. Beginning in 3rd Grade, students enjoy a first-hand lesson in civics, by forming "political parties," developing campaign platforms, and finally joining in a division-wide election of officers to the Lower School Student Council. Our "experiential learning" also takes students off campus to sites such as Coral World for lessons in marine biology, the Seaview Nursing Home for community service and even on sailboats to swim with sea turtles and snorkel. Last year, students enjoyed a science lesson aboard a large cruise ship where they were invited to tour and learn about waste management by visiting the ship’s recycling center. Each year brings new adventures for a faculty eager to draw upon outside experiences to reinforce our curriculm.